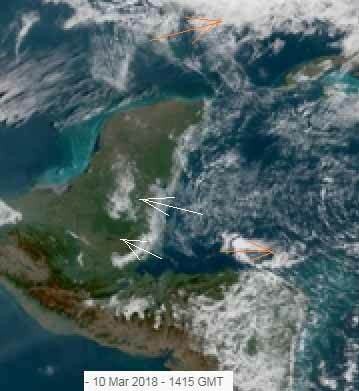 Belize NMS: Moderate southeasterly airflow prevailng. 24-hour forecast: Mostly sunny today and partly cloudy tonight. Showers, if any, will be isolated. General Outlook: (Sunday & Sunday night) Mainly fair, warm and dry. Today SE 10-20 kts Choppy-Moderate 3-6 ft CHANCE OF LIGHT ISOLATED SHOWERS MAINLY NORTH. Tonight E-SE 10-20 kts Choppy-Moderate 3-6 ft LITTLE OR NO RAIN. Tomorrow E-SE 5-15 kts Choppy 3-4 ft NO RAIN EXPECTED. Outlook E-SE 5-15 kts Choppy 3 ft MAINLY DRY. 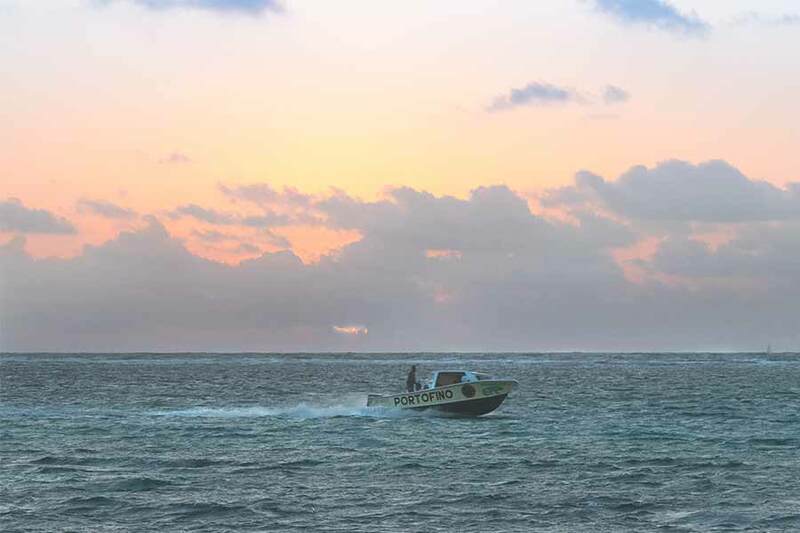 It's a sunny day with an expected high of 86 f. on Ambergris Caye this morning. The wind is blowing from the Southeast at 16 mph. creating rough sea conditions on our Barrier Reef. 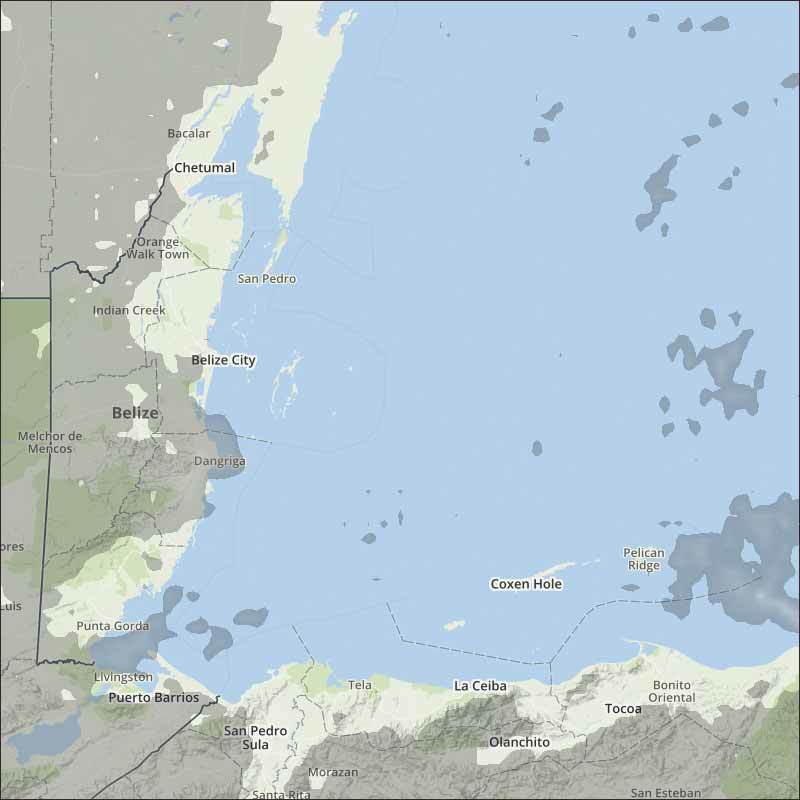 There is very little change to our weather, cloud in the easterly Caribbean winds, but no rain in it. Florida in for significant rain. It is too early for the ITCZ activity to be getting to Belize, more on that, later nearer to the time in May. Belize weather is not predictable, some years we have not really had a dry season, other years not really a wet season, our weather can be very erratic. 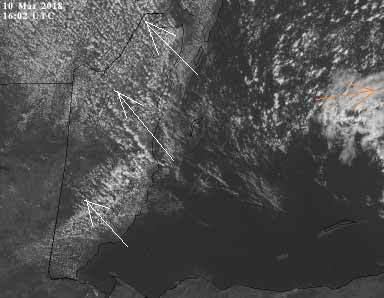 Looks as if today will again be mainly sunny with white clouds building, no rain expected. We are starting to see the effects of the beginning of the dry season. The Cloud picture. The high-level wind clashing with the lower Caribbean wind is causing a tiny bit of rain out at sea.